When professional athletes want to perform at their best and wow the crowds, they wear Reebok footwear. 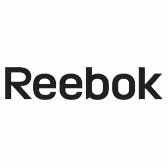 Working professionals who don't sign autographs during the workday need the right kind of foot care to get their tough jobs done...that's why they turn to Reebok ... (see full details) (see specifications) #RBKRB4327. When professional athletes want to perform at their best and wow the crowds, they wear Reebok footwear. Working professionals who don't sign autographs during the workday need the right kind of foot care to get their tough jobs done...that's why they turn to Reebok, too. These Reebok Men's RB4327 Brown Athletic Composite Toe Slip-Resistant Boots are made with careful styling and all those features that help your feet perform at your best, no matter what your workday is like. Rich, golden tan leather was used to create the ankle-high uppers of these Reebok boots. Nubuck leather is soft and fuzzy like suede and flexible and durable like full-grain leather. Natural leather is tough against abrasions, resistant to wind and water, and always softly flexible around your feet. Abrasion-resistant nylon lines the interior of these Tyak boots. Lightweight nylon mesh releases hot air, rather than holding it in, so your feet stay cooler and dryer when you wear these composite toe boots. Cushioning inserts absorb shock and prevent your feet from feeling painful stepping force. The removable, easy-to-clean inserts of these chemical-resistant boots are made with shock-absorbent polyurethane. This material is lighter than rubber, but it's more impact-resistant. The outsoles are made in a dual-density design to give you two layers of shock-absorbency when you wear these brown boots. The design begins with a cushioning layer of EVA foam in the midsoles. Foam softens and absorbs stepping pain. Meanwhile, the rubber bottoms give your steps bouncy shock-resistance. Wrap-around shank stabilizers are built right into the design of these safety toe boots to steady your steps. The shanks keep arches lifted and supported to prevent muscle pain and strain. Heel airbags add even more cushioning and shock-resistance to the design. The soles are slip-resistant to help your tread stay safer everywhere you go. They resist chemicals, corrosive oils, heat, and even abrasions to stand up to just about anything your workday might dish out. XTR brand composite toe caps cap off the design of these men's boots. Non-metallic composite is lighter than steel but just as safe. The toe caps meet ASTM F2413 industry standards for protective footwear. The extra-wide toe design keeps these work boots roomy and comfortable in spite of the toe caps. Reebok Men's RB4327 Brown Athletic Oil-Resistant Composite Toe Hiker Boots are perfect. You can wear them anywhere, and they’ll keep you safe everywhere. Reebok Boots: Men's Tyak Brown RB4327 Composite Toe Abrasion-Resistant Boots is being added to your cart.